SHINE A LIGHT ON ME: a review of "Midnight Special"
Now let's see if I can get one more in just under the wire. One of the very best things I love about the movies is that sense of discovery, the surprise, the unexpected qualities that make the overly familiar feel so excitingly fresh. One of the things that I hate about the movies--or better yet, the movie business in the 21st century--is how the over-abundance of the major big budget releases and the plethora of multiplex movie screens around the country that only show those films at the expense of any other films is more than troubling. 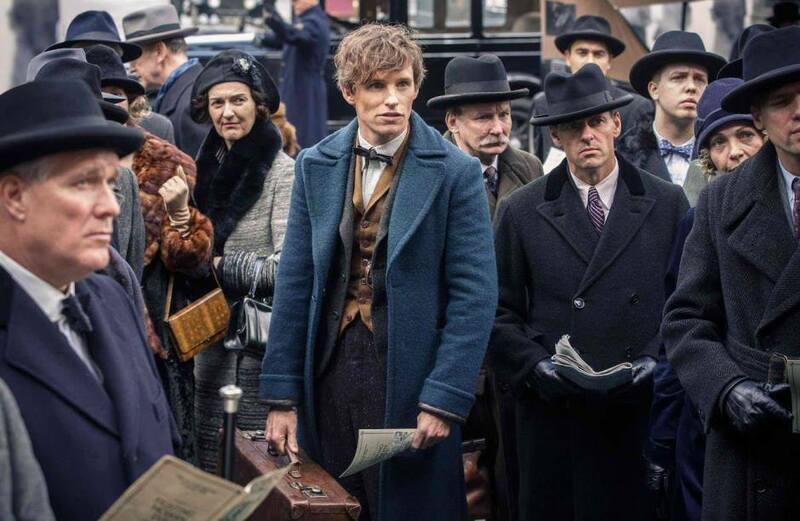 The devotion to the weekend box office race has long outweighed attention to quality, especially when it arrives in considerably smaller packages, now making for a time when smaller, independent films don't even have a chance to find, let along build an audience. And that is even when those films are even released theatrically anymore. In recent years, I have been intrigued by the film of Writer/Director Jeff Nichols who first grabbed my attention powerfully with the psychological/apocalyptic thriller "Take Shelter" (2011) and the Southern, Mark Twain influenced coming of age drama "Mud"(2012). When I first saw the cryptic trailers for his follow-up feature entitled "Midnight Special," I was more than ready to see just what Nichols would serve next. But then, the film barely played in my city, arriving and departing in just one week's time. Now that is a profound shame, because after now having seen the film, I am very excited to point you firmly in its direction as "Midnight Special" is one of 2016's most surprising, thrilling, perplexing, mysterious, instantly captivating releases that I really think you would find yourselves happily sinking your teeth into as the cinematic world of Jeff Nichols is more than deserving of your attention. At this point, I tend to provide you with a plot description but in the case of "Midnight Special," I strongly feel that the less you know the better for its overall effect will hit you more sumptuously by not knowing terribly much about it. Taking a cue from the aforementioned cryptic trailer, I will say the following to you..
"Midnight Special" stars Michael Shannon as Roy Tomlin who is on the run throughout rural Texas with his friend Lucas (Joel Edgerton) as well as with his 8 year old son Alton Meyer (Jaeden Lieberher), a child adorned with strange abilities, most notably blinding white lights that blast from his eyes. Involved with the pursuit and the overall adventure within the film, Nichols features a Texas religious cult led by Pastor Cavin Meyer (Sam Shepard) raided by the FBI, the destruction of an Air Force satellite, the increased presence of Alton's fugitive Mother (Kirsten Dunst) plus a more genteel Agent (Adam Driver), and the metaphysical revelations found within an everyday sunrise plus even more. 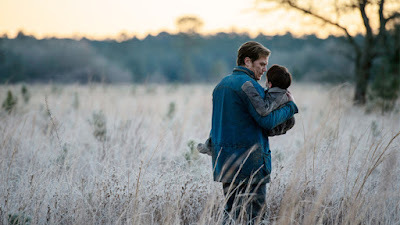 Jeff Nichols' "Midnight Special" is a chase film, a Father/son drama, a Southern thriller and science fiction adventure that essentially feels like the third act of a longer film in which we have not seen the first two sections. And to that description, this is an excellent storytelling tactic as the film opens with a combined sense of mystery and urgency as we are all thrust into a high stakes adventures without really knowing who the participants are, their relation to each other, who is even chasing them and why. All of these qualities--plus Cinematographer Adam Stone's rugged visuals and most definitely, Composer David Wingo's minimalist yet deeply intense score--instantly create a palpable intensity that is further compounded by the crispness of Nichols' writing and the no frills qualities of his direction, which often finds ways to nearly lull you into a certain relaxed state of mind just to rapidly pull the cinematic carpet out from under you time and again. 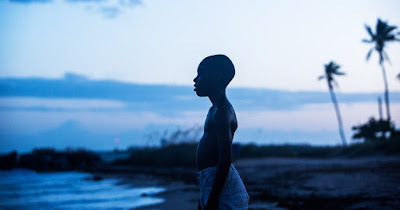 For as many movies as I have seen throughout my life, I can easily that I have not jumped up in my seat with excitement and even honest shock as I did during this film, signifying that Jeff Nichols knows precisely what he is doing! All of the performances are first rate with Shannon and Edgerton each performing strong, grounded work as taciturn Southern men thrust into an inexplicable escapade where their respective friendship and love for this special young boy provides "Midnight Special" with its firm emotional core which remains rock solid even when the fantastical occurs. Nichols also keep a tight rein on the special effects, only dolling them out when necessary, thus producing the mightiest effect, which is often surreal, frightening and filled with the precise sense of awe and wonder that is missing from most big budget CGI bombasts these days. I really do not wish to say much more about this film as I just wish for you to take that chance and seek it out as it is now available on home video formats and it is even currently in the HBO rotation should you have that channel. Dear readers, Jeff Nichols is indeed the real deal, a serious cinematic storyteller that is displaying an increasing versatility and idiosyncratic artistic voice while flying completely under the radar--perhaps maybe too far beneath that radar in 2016 as even his second feature of this year, the inter-racial marriage love story/legal drama "Loving" has arrived and departed my city just as rapidly as "Midnight Special," and again despite the critical acclaim both films have received. What a shame it would be for filmmakers such as Jeff Nichols to find themselves with less opportunities to creatively express themselves due to the unforgiving nature of the marketplace and the seemingly impenetrable wall of superheroes, sequels, prequels, reboots and so on and so forth. Jeff Nichols possesses a most original voice and "Midnight Special" is truly one of 2016's most uniquely creative and presented films. THE LOVERS, THE DREAMERS, THE SO-SO SONG & DANCE: a review of "La La Land"
I know!!! I know!!! I can't believe it either!! I am certain that after just seeing the star rating, many to most of you will be thinking that I have completely lost my mind and am just an eternal grump for not being swept away by a film as fantastical as this one. Dear readers, please allow me to explain myself and please do keep reading and not turn away from me out of disbelief. Damien Chazelle's "La La Land," his follow up feature to his outstanding, pummeling "Whiplash" (2014), is a cinematic triumph on many levels as it is a luxuriously executed musical fantasy that is worlds away from the gritty, independent feature that preceded it. 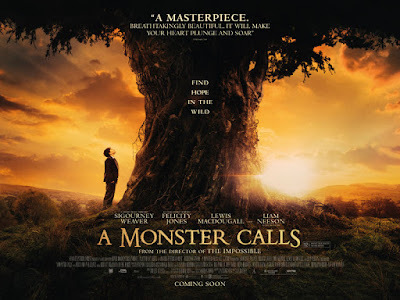 It is a film that I have been itching to see for several months now due to the glowing advance reviews as well as based upon the initial trailers that made me feel that this would be a film that would fly straight to my cinematic heart of hearts. Perhaps my expectations were too high. I don't know...I am willing to concede that possibility. But when all was said and done, "La La Land" for all of its razzle dazzle and expertise lovingly upon display, I just was not moved terribly much. Now, with its first sequence, "La La Land" had me enraptured. After beautifully displaying the vintage Cinemascope logo, Chazelle opens his film with an astonishing song and dance sequence set upon a bumper-to-bumper Los Angeles freeway. In what I think was one of the most extravagant unedited sequences I have seen in recent years the song "Another Day In The Sun" is movie musical euphoria, conjuring up the legacy of classic musicals of cinema's past with blazing colors, swirling cameras and a sea of singers and dancers merged blissfully in gorgeous choreography atop their cars in that aforementioned stalled traffic. It is truly one of the finest opening sequences I have seen in any film this year and it gave me high hopes for the remainder to follow. Beginning in earnest, "La La Land" stars Emma Stone and Ryan Gosling as Mia Dolan and Sebastian Wilder, respectively--two struggling artists and hopeful dreamers longing to make their fame and fortune in their respective callings of acting and jazz music. Where Mia works as a barista in a coffee shop on the Warner Brothers lot while also failing to achieve successful auditions, Sebastian bounces from one piano playing job to another due to uncompromising artistic nature and purity to his craft. After first encountering each other petulantly during the film's opening sequence, and again just as petulantly as Mia, wounded from another failed audition and skipping out on a plastic Hollywood party, finds herself in a bar and enchanted by chance Sebastian's lyrical piano playing--the very sort completely unwanted by his boss (J.K. Simmons in a sharp cameo) who immediately fires him just before Christmas. Months later, after Mia catches up with Sebastian again, now forced to working as a keyboardist in a 1980's synth-pop cover band, the two grudgingly begin to officially meet and build their obvious attraction in a lovely duet song and dance sequence. Of course, and in classic movie musical fashion, Mia and Sebastian fall in love and begin to share their dreams in becoming a famous, respected actress and jazz pianist/nightclub owner specializing in the preservation of pure jazz music. Yet, when pressures mount and dreams are compromised and threatened to be extinguished, will their love survive? Look, dear readers, I feel powerfully that Damien Chazelle's "La La Land" is indeed worthy of all of its accolades as they are exceedingly well deserved as he is indeed a filmmaker that has achieved an artistic growth not many other filmmakers are really able to pull off. Frankly, I am not terribly certain if I have seen something quite this sort since Writer/Director Paul Thomas Anderson debuted with his intimate, independent thriller "Hard Eight" (1996) and then took a quantum leap to the sprawling, wide screened 1970's epic of "Boogie Nights" (1997). "La La Land" shows that very same conceptual leap as its entire magical, more innocent tonality is a complete 180 degree turn from the brutal force of "Whiplash." Chazelle, with these two films, has certainly displayed himself as a filmmaker to take serious notice of as he pursues his future projects, whatever they may happen to be. Chazelle is in complete command of his material in which he is superbly aided by Cinematographer Linus Sandgren who beautifully realizes the musicals of old, Composer Justin Hurwitz's vibrant, jazzy score (and to a lesser degree, the songs) and most certainly Mandy Moore's first rate choreography (not the singer but the dancer you may have seen on television's "So You Think You Can Dance"). And yet, I am certain that you are wondering, why didn't I greet this film with the same rapturous applause I heard at the conclusion of my screening? Let me try to explain it this way. For me, the finest musicals that I have ever seen, from more traditional films like Gene Kelly and Stanley Donen's iconic "Singin' In The Rain" (1952) and Robert Wise and Jerome Robbins' "West Side Story" (1961) or the more pop/rock musicals that I grew up with like Norman Jewison's "Jesus Christ Superstar" (1973), Ken Russell's "Tommy" (1975), Milos Forman's "Hair" (1979), Alan Parker's "Fame" (1980) or even Baz Luhrmann's "Moulin Rouge!" (2001), happened to all be films that were completely transportive. Movie musicals that truly swept me away into their respective film universes and musical dream worlds so completely that I almost wished the real world could emulate what I had seen upon the screen with people spontaneously bursting into song and high flying dance numbers. "La La Land," aside from the first sequence and despite how extravagantly presented Chazelle delivered his film--and there are several dazzling sequences--I just was not swept away at all. In fact, for me, the film opened on such a high note that I think the rest of the film had a bit of difficulty maintaining its momentum and peak, often falling short when I should felt more and more elevated. Furthermore, all of those films (plus others I have loved) all contained songs that I was not only still singing to myself upon leaving the theater. They were all riveted into my memories sumptuously and long enough for me to obtain the soundtrack albums for me to re-experience them. With "La La Land," by contrast, while the songs themselves were definitely well composed and performed, often by Ryan Gosling and Emma Stone themselves, the songs were not terribly memorable. Even now as I write, I am unable to recall even much of any melodies that I heard over the course of the two hour plus film. Now this criticism, is certainly more a matter of taste but I do think it does present a bit of a problem regarding the overall success of the film for me. But the, there was an even greater ad more fundamental problem I had with "La La Land" and that could not be avoided or just subjected to a mater of taste. Frankly, the character of Sebastian is an insufferable hipster jerk. If there was one area of "La La Land" that I felt fault with and one too big to be ignored it was indeed the love story itself, and I felt this way due to one especially large factor: one of the participants in said love story is and becomes such a self-righteous, self-important.narcissist that all I wanted was for Emma Stone's character to run as fast as she was possibly able from him. Now without spoilers, I understand that some of my issues are indeed weaved into the character of Sebastian as flaws for him to recognize or overcome but even so, I was so turned off by him that it derailed the romance the film was working overtime to build upwards. To that end, Sebastian's sense of traditionalism, and integrity runs into becoming so self-serving and self-important that the character ends up suffering from a superiority complex (his "mansplaining" about jazz music is more than a little tin-eared and even annoying) that even runs against Mia's sense of artistic integrity. Again, some of this is indeed story driven but perhaps it was a tad too successful in its execution as their tension built to a point where Sebastian seemed cruel and therefore, Mia completely deserved much better, so much so that "La La Land" may have been better served by solely focusing upon Mia and her journey as the central story and maybe without a love story at all. 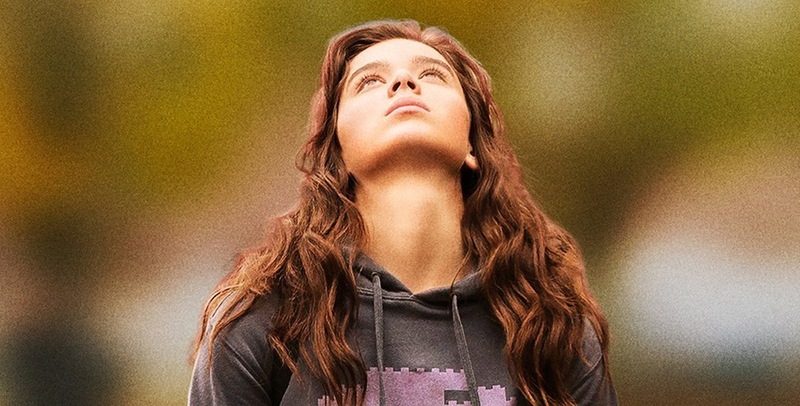 Just think about it for a moment, a film about a young actress trying to break into Hollywood and it is a musical. That works all by itself and carries enough inherent drama, comedy, and flights of fancy to make a perfect musical without being saddled with a love interest who is really only in love with himself and his own desires. I know its a fantasy but when I am having trouble buying the fantasy, that is indeed a problem. All of that being said, Damien Chazelle's "La La Land" is a loving, earnest, honest, beautifully filmed throwback, much like Writer/Director Michel Hazanavicius' silent film Academy Award Best Picture winner "The Artist" (2011). In fact, I will go on record right now with a prediction...I think that "La La Land" will not only receive an enormous amount of Academy Award nominations, it just may go on to win Best Picture as Hollywood loves movies about itself, especially ones as richly and as lavishly well made as this one. Regardless, I know you'll see it and most likely love it to pieces. I just wish that I loved it as much as you did because, believe me, I really wanted to. HAPPY 7TH BIRTHDAY TO SAVAGE CINEMA!!! 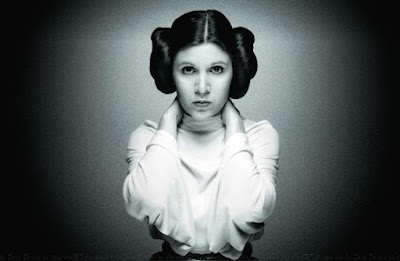 I am certain that at first glance, the title of this posting combined with a visual remembrance of actress Carrie Fisher, who passed away just three days ago at the age of 60, may seem to function as a disconnected pairing. But, please trust me, they are firmly connected in my mind and I will do my best to explain. Dear readers, it was seven years ago on this date when I sat in my parents' basement during a Christmas visit and gave birth to this blogsite and I have to express to you that within those initial moments, I had never been so frightened, so nervous, to completely unsure of myself to even begin to share this seismically important piece of myself with the world. Mostly, I was certain that not even one soul would care a whit about anything that I woud have to say, so why bother? And then, if someone actually did care enough, I was then certain that it would be wholly disregarded as badly written pap not worth anyone's valuable attention or time. And yet, thankfully, so very thankfully, I was proven wrong time and again by all of you--you beautiful people who have, for whatever reasons, taken the time and energy out of your very full lives to read even one word of what I have written. And now, officially seven years and a hair over 600 postings later, here we are, sharing this wonderful moment. I have said it time and again that my gratitude to you is bottomless and it holds true to this very moment and will continue to do so for as long as Savage Cinema remains in the world, for you are the fuel that gives me the energy to keep trying, to keep writing and to keep remaining brave enough to hit that "Publish" button one more time. Thank you for all of your support, kind words and especially for keeping Savage Cinema as a positive space on the internet, an environment that still surprises me with its vitriol and unrepentant venom. I never want Savage Cinema to ever become a home of self-congratulatory snark, self-indulgent hipster irony and self-serving sarcasm. I wish to write as best as I am able about the medium that has given me such grand fulfillment for so very much of my life. And that is precisely what brings me to having this posting serve as a salute to Carrie Fisher. In 2017, George Lucas' "Star Wars" (1977) will reach its 40th anniversary!!! I know! I am just as stunned as any of you to place such a number onto something that has become such a pivotal piece of our popular culture that feels as eternal as it is timeless. It almost feels as if there was never a time when "Star Wars" was not a part of the world but on the contrary, there actually was such a time and I am old enough to remember it, much like a line in the sand signifying "before" and "after." There is no way to ever express the following sentiment enough: "Star Wars" completely changed my life on May 25, 1977, when on that inaugural day, I saw the movie that made me fall in love with the movies as an art form. I was only eight yeas old and before that night, the movies were simply a fun outing for my family...as well as a great place to get some delicious popcorn! But on that night, once that now iconic logo accompanied by John Williams' equally iconic fanfare blasted across the move screen in full 70MM and Dolby sound glory, I was instantly transported, essentially having an out-of-body experience that deliriously made me forget where I actually was sitting until the movie ended, house lights went up, and I was wrapped in stunned silence all the way back to my family's car until my Dad looked at me and simply said, "May the Force be with you," to which I answered with a mighty, "YES!!!!!!!!!!!!!!" That night was the very first night when the language of the movies introduced itself to me and thus began to take me upon a journey that has endured powerfully for nearly 40 years through countless films seen and digested, filmmakers who revealed themselves as storytellers as brilliant as any novelist, critics and writers to help me process what I have seen and to further inspire me to think about films as art, and of course, that inexplicable magic that still occurs for me when those house lights darken and a shared communal experience with a roomful of strangers begins to weave its spell. Movies, for me, are sources of travel...around the world, and into the soul and the spark of imagination itself. They are personal and epic. They are intimate and universal. They are dream worlds yet somehow, at their very finest, they are unabashedly real, regardless of how fantastical they may be. With regards to Carrie Fisher, I will not use this post to speak to the entirety of her life and career, which included her prolific writing of books, performance pieces and uncredited script doctoring, continued acting and one-woman live performances as well as her fearless activism regarding mental illness and drug abuses by being so open with her own struggles. No, for the purposes of this posting, I honor and thank Carrie Fisher for the character she embodied so completely as she was instrumental for beginning my lifelong love affair with the movies. What Carrie Fisher accomplished beautifully and brilliantly was to breathe such vibrant life into a character that only exists in dreams, Princess Leia is indeed larger than life and Fisher made her so real to me and even now, as I re-watch that film, I am transported all over again. Truth be told, when she made her first screen appearance as General Leia within J.J. Abrams' "The Force Awakens" (2015), it was a moment that instinctively brought tears of joy to my eyes as, again, I was transported to the moment where it all began for me. As I think about Fisher and her time portraying Leia, I am still so amazed at how even at the age of eight, and being aware of of the entire enterprise as being "make believe" as its most elaborate, just how real it all was...and therefore, remains. To me, Carrie Fisher never really acted as or played Leis. She simply just was. It's weird to think that she was 19 years old when she first became Leia because to me, the character is as timeless as the film itself, and for that matter ageless. And it is that precise blurring of the lines between reality and fantasy that intrigues me to this very day about the movies. How the possibilities of what can be achieved are as endless as the imagination, and even better, the endless ways one can be inspired. There was no way of knowing on that night almost 40 years ago, then when I first saw Carrie Fisher upon that movie screen that I would develop this particular passion that would furthermore bring me to the point seven years ago when I launched this blogsite. Her priceless contribution directly led me to the next movie and all of the movies thereafter, to all of the writers, critics, actors, filmmakers, composers, cinematographers and behind the scenes magicians who bring dreams to living dreams year after year, and without question, her contribution led me to this very moment--sitting at this computer, in celebration and gratitude for seven full years of writing and building Savage Cinema. "Star Wars" would never had worked so brilliantly without the participation of everyone involved in its making and for that reason, Carrie Fisher's influence and artistry is undisputed. If one were to take her away from the film, the entire experience would crumble and it would have never become was it has endured itself to being. What Fisher accomplished has inspired more people than we could ever imagine and her essential piece of that specific process and product eventually allowed this very site to exist in the first place. I would write these same words for Mark Hamill, Harrison Ford, and definitely George Lucas himself. But for now, it IS for Carrie Fisher, the definitive intergalactic Princess, who gave birth to countless inspirations and dreams and for whom I will be forever grateful, even as I elicit a sad sigh now that she too has departed our material world in this merciless year that has taken so very many from us. So from the visions of first seeing Carrie Fisher as Princess Leia, seeds were planted that grew over the course of 40 years and sprouted through me with Savage Cinema, which then traveled from me to you and then back again due to your feedback, your interest, your encouragement, your support and friendship. I thank you, I thank you, I thank you even more and humbly so, for without you, what would even be the point? And without Carrie Fisher, it may have never happened at all. For her, for all of you and for myself and my eternal love of the movies, I head into Year Eight with the same anxious anticipation for whatever will arrive next...just as I always have. THE LION IN WINTER: a review of "Fences"
Denzel Washington is a national treasure!! Honestly, who knew? Who knew back in the days when Washington was a cast member upon television's "St. Elsewhere" (1982-1988) and even moreso within his feature film debut in the unfortunate so-called racial satire, Director Michael Schultz's "Carbon Copy" (1981)--yes, I actually did see that movie--that inside housed a figure that would become one of the finest actors we woud ever be blessed to witness. Certainly, he has charisma and unquestionable star power to burn--something he showcased from the very beginning. But, the depth, that transformative power, the blind siding force he would unearth time and again? I don't know about you, but back then, I never saw it coming yet once it hit me, it never let go, for what Denzel Washington has been able to achieve when he is working at his finest, the fullest of his powers, are performances that feel so lived in, so inside out that they feel to extend beyond mere performance and almost exist as channeling! Trust me, dear readers, if you have not seen Spike Lee's "Malcolm X" (1992), do yourself a favor and see one of the finest screen performances of all time--I would not steer you wrong with this one--that man should've won five Oscars for that work! Now all of that being said, I have housed some criticism for Washington in recent years, some of which has been written upon this blogsite. Now there hasn't been anything approaching scathing if memory serves but I have been critical of some of his choices in recent years, which have leaned more heavily upon one sort of two-fisted action film or another and more often than not, films that clearly are not as razor sharp as I would assume Denzel Washington actually is within his real life. While I am certainly not within the position to begrudge Washington's professional choices, it is just when I feel his choices are beneath his immense talent that I tend to bristle. With "Fences," Denzel Washington's third directorial effort after the strong "Antwone Fisher" (2002) and "The Great Debaters" (2007), as well as his adaptation of the the late August Wilson's Pulitzer Prize and Tony Award wining play (in which Washington starred on Broadway in the 2010 revival), Washington once again emerges and arrives as an unrepentant force of nature with a towering performance that is blistering to behold. Perfectly, the film which he has helmed is equal to his talents in front of the camera. Denzel Washington the director is not a visual stylist by any means and yet, there is no reason for him to become one when the humanity of the piece is the star, the heart, the soul and the intense focus onto which Washington places his considerable energies. "Fences" is a triumph, a powerhouse, an emotional steamroller that explores a certain slice of life with equal measures of empathy and intensity. Set in Pittsburgh during the 1950's, "Fences" stars Denzel Washington as Troy Maxson, a 53 year old failed baseball player and waste collector who lives with his wife Rose (an outstanding Viola Davis--reprising her role in the 2010 Broadway revival) and who works alongside his best friend Jim Bono (an excellent Stephen McKinley Henderson). In the neighborhood also lives Troy's mentally impaired brother Gabe (Mykelti Williamson), injured during World War II, teased by the local children, filled with all manner of Biblical allegory and who often visits Troy and Rose. Additionally, Troy is wrestling with the combative nature of his respective relationships with his sons, the adult Lyons (Russell Hornsby), from a previous marriage, and now a struggling musician, and the teenage Cory (Jovan Adepo), an aspiring football player with hopes of attending college, much to Troy's intense chagrin. As Troy pursues a hopeful promotion at work while also confronting the future desires of Cory which run in conflict with his own wishes for his younger son, Troy rages against a world and life he fears has completely passed him by as the pains, choices and consequences of his past and present collide to create a potentially even more turbulent future. 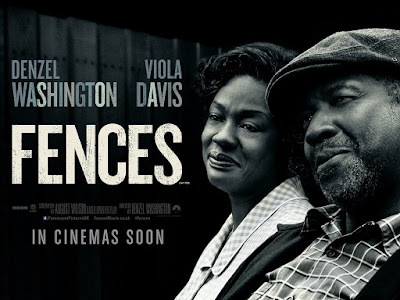 In many ways, Denzel Washington's "Fences" serves as a companion piece to something like Arthur Miller's enduring, devastating classic Death Of A Salesman, but in this case, and keeping in lockstep with August Wilson's source material, "Fences" is fully representative of the African-American experience during the 1950's. Yet Washington wisely and often, ferociously devises of moments, scenes and dialogue designed to mirror the past and present day trials and tribulations of African-American life towards each other. As previously stated, Washington's visual style is tempered and purposefully un-flashy, a technique that leaves all of the fireworks in Wilson's stunning, luxurious dialogue and of course, the excellent and exhausting performances by the film's entire cast. Utilizing a series of Biblical, athletic and most certainly, the building and presence of a backyard fence as allegories and metaphors, "Fences" vibrantly illustrates the inner turmoil of Troy Maxson blasting outwards as he rallies against what he perceives as life's indignities--whether real or imagined--and all the while showcasing his inability to look beyond himself and his own desires regarding issues of justice and fairness. In an odd way, Troy Maxson reminded me a little bit of Jackie Gleason's classic character Ralph Kramden of "The Honeymooners," albeit in a more tragic capacity. As with Kramden, Troy Maxson carries an outsized personality, or better yet, an outsized public persona that clearly over-compensates for his deeply run insecurities, faults, and desperate failings. On full pubic view, Troy Maxson is the definition of boisterous. His voice, easily the loudest in the room, dominates all conversations as he spins one tale after another in what feels like a rapid fire stream of consciousness that also feels purposefully designed to continuously hold court to a nearly impenetrable degree. His body language is all swagger as he literally prowls through his domain conveying his self-presented immense physical strength as well as a sexual voraciousness towards Rose, as no man could ever love, and therefore, satisfy his wife as greatly and as completely as Troy Maxson. Even his tall tales are the stuff of ancient blues songs and mythologies, the man who tangled with the Grim Reaper and won and is forever ready for the re-match. And still, all of this behavior is skin deep as his bottomless rage sits immediately below the surface, ready to boil over in a moment's notice. Whenever Lyons comes to visit on Friday evening's--that is, payday, course, Troy loudly bristles with the knowledge that Lyons is undoubtedly standing in his living room ready to ask for a financial h and out. Yet, once Lyons returns one evening to pay him back, the gesture runs completely against Troy's pre-conceived notions of the man Lyons actually is (or better yet, the man Lyons hopes for himself to be). Troy Maxson roars against any and all who have it better than himself, to those who have been given opportunities that have passed him by, to successes that others have received but not himself. To that regard, Troy Maxson is a figure that I believe that anyone within the working class of the past and/or present, and even regardless of race and gender, would and could easily relate with. Furthermore, I would even think that Troy Maxson is a character that really any of us could possibly identify with because we have all at one point or another lamented against our own losses and disappointments, especially when confronted with the successes of others. The problem with Troy is that he chooses to not realize any of his mistakes or when he does realize, it is too late and even then, Troy will somehow spin the situation to where he is perpetually the individual who has been wronged, ultimately continuing to fuel his rage against the world and even his family. The painfully honest Father/son tensions as depicted in "Fences" possessed some moments which uncomfortably took me back to periods within my own life when I clashed with my own Father over our respective expectations and world-views. I think back to fights filled with brutally painful words and actions, and I am so very thankful that both of us have long regretted those times, times that have since been long forgiven for the betterment of our relationship as we age. Yet, for Troy and Cory, their tensions may prove themselves to becoming irrevocable as Troy's shadow looms so powerfully large, and Cory grows increasingly determined to step out from underneath it. With respect to the physically and psychologically damaged Gabe, he tiptoes around Troy almost in fear. And as for Rose, she is also forced to face her own choices and consequences regarding the life she wishes to have combined with the woman she perceives herself to be alongside who she still wishes to become, even within middle age. Denzel Washington and Viola Davis are a formidable dream team, each eliciting performances that are honest, painful and devoid of any sense of Oscar baiting techniques although it would be a cinematic crime if these two performances were not two of the most heralded of the year. Washington in particular is majestic to regard as, utilizing an athletic metaphor, he is operating at the top of his game. He is clearly thrilled to have a character, story and dialogue of such caliber and quality at his disposal, as he roars through the many extended monologues with relish, fury and a sheer velocity, that forces us to keep up with the variety of changes in tenor, inflection and tonality. Just astounding. Viola Davis, by contrast, and aside from one powerhouse of a scene, showcases her strength, dignity and even her own well worn flaws and regrets with a quieter more internalized pain and frustration that keeps your eyes and ears riveted towards her, especially when Washington is blasting through scenes. She fully transcends the caricature of the long suffering wife by creating a figure who functions as a full, living, breathing, three dimensional human being whose emotions and actions speaks to the role of African American women of the past and present with tremendous empathy and grit. Denzel Washington's "Fences" is a veritable steamroller of a film that serves as an intimate family drama, a simultaneous ad sumptuously detailed celebration/lament for the life and existence of the African America neighborhood and at its core a blistering character study of a man who feels that he is single-handedly against the world yet he is always right and still contends to being so even when he is spectacularly wrong to a punishing degree. The skill, texture, command, humor, immense heart and full bloodedness of the material makes for outstanding adult drama and provocative cinema and it completely deserves your complete attention and it is easily one of 2016's strongest efforts. SPECTACULAR SUICIDE SQUAD: a review of "Rogue One: A Star Wars Story"
Dear readers, I have made no secret of my skepticism regarding this new phase of motion pictures set within the "Star Wars" universe, now that creator George Lucas has sold his company to Disney. I have worried about a possible decline in quality as I feared the prospect of solely raking in the commerce would outweigh the artistry and imagination necessary to create a "Star Wars" film. Additionally, as Disney's plans to release a new film once a year rather than once every three years as executed by Lucas' original six films, I have been fearful that the sheer ubiquity would threaten overkill and overall disinterest. I also wondered if Director J.J. Abrams' wondrous and richly overwhelming "The Force Awakens" (2015), Episode VII in the on-going Skywalker saga set along time ago in a galaxy far, far away was even possibly a fluke, with subsequent entries bound to fall considerably short. And then, there is the idea of having stand-alone films being released in between the official saga entries, also the sheer ubiquity being a potential negative factor, but would these films also just exist as money grabbing exercises in nostalgia for the original trilogy, certainly not something really worthmaking movies over other than for box office rewards. I know. I know. I have given terribly too much thought about this enterprise but like so many of you, "Star Wars" has meant so tremendously much to me throughout my life as George Lucas' original 1977 film was indeed the movie that made me fall in love with the movies and also like you, I just feel so protective of it and its legacy, hoping nothing will taint its power (Let's not get into Lucas' unfairly maligned prequel trilogy--I loved them. You didn't. Let's move on.). With "Rogue One," Director Gareth Edwards' stab at Lucas' "Star Wars" universe yet the first to not exist as an official Episode but serve as a stand-alone feature, I was just more than ready to receive a film that felt to be made entirely for fans and not for any sense of storytelling, essentially making the precise type of film that Lucas himself was never interested in making as a cinematic storyteller. I worried it would end up being a crass, soulless experience, like far too many big budget event movies these days and despite the intriguing concept and the equally intriguing trailers, I kept my hopes to a minimum as I expected to be let down. How incredibly thrilled I am to have been proven so dramatically wrong! Gareth Edwards' "Rogue One" is a richly spectacular experience, one that looks and feels firmly of the "Star Wars" universe but has taken some smart, risky detours in its overall presentation and tonality that makes the film stand powerfully on its own two cinematic feet and very unexpectedly, the film works to a towering effect. Briefly, "Rogue One" conceptually positions itself shortly before the events of "Star Wars-Episode IV: A New Hope" (1977), as the Jedi Knights are all but extinguished due to actions of Darth Vader (again voiced by James Earl Jones) and the Empire possesses an iron clad rule over the galaxy and is in the midst of completing construction of the Death Star. 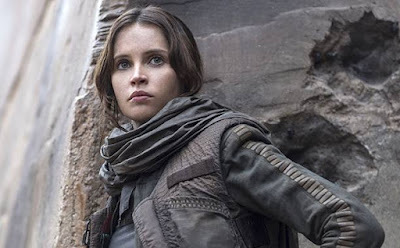 Felicity Jones stars as Jyn Erso, a maverick captured and detained by the Empire but is soon freed by members of the Rebel Alliance who wish to recruit her to aid them in their pursuit of her long lost Father, Galen Erso (Mads Mikkelsen), the scientist who first engineered the plans for the Death Star and has since been a reluctant participant, forced to continue his devastating work under the command of the beleaguered Imperial Director Orson Krennic (Ben Mendelsohn). After grudgingly joining forces with Rebel Captain Cassian Andor (Diego Luna) and reprogrammed former Imperial droid K-2SO (Alan Tudyk) and soon becoming inspired by her former guardian, renegade freedom fighter and Clone Wars veteran Saw Gerrera (Forest Whitaker) plus mercenary Baze Malbus (Jiang Wen), his sidekick, the blind warrior Chirrut Imwe (Donnie Yen), and Bodhi Rook (Riz Ahmed), an Imperial pilot who has defected to aid the Rebels, Jyn eventually discovers her purpose as she decides to covertly infiltrate the Empire to steal the Death Star plans and aid the Rebellion. With "Rogue One," Gareth Edwards has made a self-contained "Star Wars" chapter that functions not only as a prequel to the original 1977 film but also as a sequel to Lucas' "Star Wars-Episode III: Revenge Of The Sith" (2005). Yet, what Edwards has accomplished so remarkably is to create the period within the "Star Wars" universe where the magical, mystical element of the Force and Jedi Knights are essentially relegated to the background and the fringes while placing the plights of ordinary individuals and warriors at the forefront. This tactic essentially honors the entirety of George Lucas' original conceit (and yes, that includes the prequel trilogy) of telling the tales of ordinary people who find themselves in the position to accomplish something extraordinary, thus becoming unlikely galactic heroes in the process. With the more esoteric and even fairy tale elements of "Star Wars" stripped from the proceedings, this aspect frees Edwards to create a film that is decidedly more stark, tougher, grittier, and unquestionably darker than nearly any other "Star Wars" film that has arrived before now, while also remaining faithful to George Lucas' original conceptions and vision. 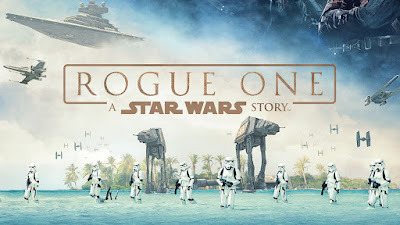 In addition to elements of a heist caper, and a "Mission: Impossible" styled adventure, "Rogue One" powerfully functions as a true war movie starring a reverently spectacular suicide squad where the deliriously staged and ferociously paced aerial dogfights recall World War II films and the brutal skirmishes upon the jungle planet mirror Vietnam war movies. On a purely visual level, "Rogue One" is a veritable triumph, where hand held combat footage merges beautifully with the graceful cinematography that we have become accustomed to with this series. Much has already been written about the film's final third which finds Jyn and her companions in the heat of their mission with the Rebel Alliance following suit against the wrath of the Empire and to that, I will have to add my voice in expressing that it is flat out sensational. While we now exist in a period where we are more than used to--and for some like myself, increasingly bored with--the protracted, extended, bombastic CGI drenched climax upon climax, Gareth Edwards miraculously avoids any such pitfalls by helming a war film of such sustained, relentless and wrenching intensity, where the stakes actually build upwards in power into sequences of audience cheering successes and tear inducing tragedies and even one sequence of flat out honest horror all culminating towards a conclusion that beautifully links directly to the opening moments of the original 1977 film. At times, even James Cameron's iconic "Aliens" (1986) came to mind for me--that is how strong Edwards has conceived and executed his film! And of course, none of that grand achievement could even arrive without having delivered the story and characters first and "Rogue One" is filled top to bottom with a great new cast to become attached to and most certainly revisit. As the intergalactic Joan Of Arc Jyn Erso, Felicity Jones fully earns her stripes as a "Star Wars" heroine as she is completely armed with a commanding presence, a terrific physicality plus a haunted, cynical psychological quality that works extremely well when the film delves into her backstory and relationship with her Father plus her eventual realization of her life's purpose. Jones is aided superbly by the entire cast who all come equipped with a more grounded quality compared with the more operatic by way of 1930's serial aesthetic of the official Episodes, therefore giving "Rogue One" a certain sense of realism the series has not possessed up until this time. This is a risk that actually pays off better than it may seem as it does provide a certain visual link between the ornate dreamworlds of the prequels and the more lived in dilapidated environments of the original trilogy. Yet, conceptually, the pay off is even better. "Star Wars" as we have known it for almost 40 years now, is a fairy tale, a myth, a child's storybook odyssey that utilizes archetypal figures and concepts to explore aspects of the human condition from choices and consequences, spiritual matters of faith and belief, and even allegories to political events and eras. 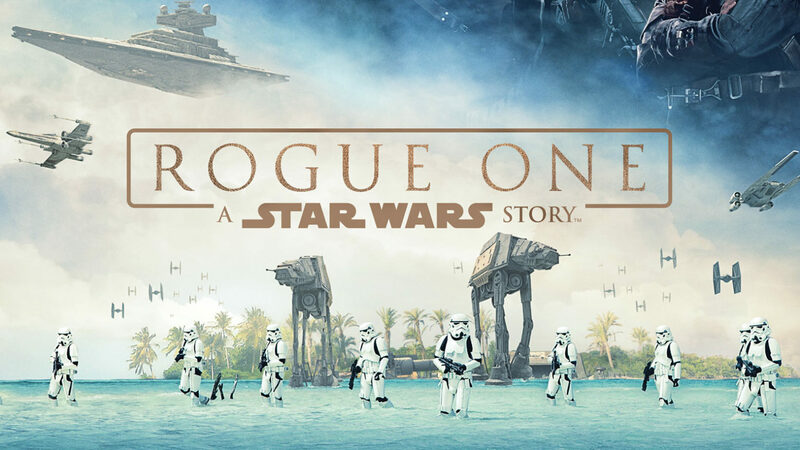 With "Rogue One," and despite what any of the Disney top brass may express in the press, what we have in this film is the most overt political allegory and statement thus far for a "Star Wars" film and it turns out to be the very one we just may need to see in our increasingly turbulent and precarious times, post Presidential election. Of course, Edwards and his team would have had no knowledge of the outcomes of our election and events thereafter during the filming but it is truly eerie how in tune with the current political and emotional landscape "Rogue One" happens to be, especially when some of us are wondering just how to carry onwards and fight for one's beliefs and for the common good in the face of odds that feel to be insurmountable due to the comparative amount of money, media, influence and political stronghold the opposition holds. Just as Saw Gerrera, Cassian Andor and Chirrut Imwe's words and actions inspire Jyn and her words and actions re-inspire in turn, "Rogue One" intensely explores the nature of grass roots rebellion for all of us within the audience as it shows how once people realize the amount of power they have once they band together, only then is true revolution and potential victory possible. Honestly, what else is the name Saw Gerrera (a George Lucas creation for the animated "Clone Wars" television series) designed to conjure but the name of the real world counter-cultural revolutionary figure Che Guevara (and fully adorned with an almost Frederick Douglass hair style)? Furthermore, it is of no coincidence that this film carries the most multi-cultural cast of characters in a "Star Wars" film to date and how those particular individuals band together to rise up against a White Nationalist organization as depicted by the Empire. As speaking of the Empire, I also felt that it was an extremely savvy move to depict Orson Krennic's own struggles with his superiors, suggesting class issues within the fascistic organization, ultimately demonstrating that when push comes to shove, the Empire is a massive snake willing to eat its own tail in pursuit of complete power. Yes, there is quite a bit of planet hopping in the first half of the film and seeing how the various parts connect does take some time, but every element contains its purpose and once everything snaps into place, we are all set for an onslaught that is bristling, captivating, exhilarating and terrifically exhausting to behold. And, I must say that as with "The Force Awakens," Gareth Edwards' "Rogue One" contains some of the most seamless and photo-realistic special effects of the entire series with ships, laser blasts, creatures and explosions all appearing to be so tangibly real!! But perhaps the very best thing that I am able to say about "Rogue One" is that once everything was all said and done, what I desired to do the very most was to walk to the end of the ticket line and immediately purchase a new ticket to see it all over again right away. Out of a year of big budget films where most of them were derivative beyond belief and wholly underwhelming, "Rogue One" represented this style of film and filmmaking at its very best...as well as it should because really, this is "Star Wars" we're talking about. 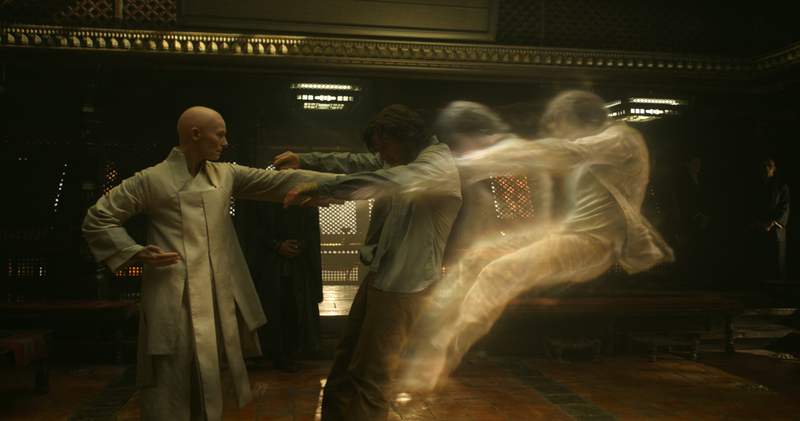 Can the new films keep up this tremendous pace and quality? I certainly hope so. But for now Gareth Edwards' astonishing "Rogue One" is one of my favorite films of 2016. Just as it was one year ago with the massive anticipation for "The Force Awakens" (2015), Director J.J. Abrams' continuation of the Skywalker family saga, here we are again, all waiting with bated breath for the latest "Star Wars" experience. This time around Director Gareth Edwards' "Rogue One" subtitled "A Star Wars Story," marks the first time a "Star Wars" film has been designed as a stand alone feature, as well as one that essentially serves as a sequel to George Lucas' "Star Wars Episode III: Revenge Of The Sith" (2005) and a prequel to Lucas' game changing "Star Wars Episode IV: A New Hope" (1977)--albeit from somewhat of a sideways glance. Granted, this film is a risky venture for the series, and I have to admit to harboring a healthy amount of skepticism to go alongside my excitement. Creatively by attempting to usher in a different styled "Star Wars" adventure. But even greater, as far as I am concerned, "Rogue One" does begin to threaten any sense of potential "Star Wars" overkill as Disney desires to release a standalone feature between the upcoming Episodes VIII and IX as well as also possibly just cashing in upon nostalgia as this film is returning to the so-called sacred territory of the original trilogy. But, what if it's good...or even great? We'll have to wait and see and yes, I will definitely be there. 1. "La La Land," Writer/Director Damien Chazelle's follow-up feature to his incendiary "Whiplash" (2014) is a full blown musical starring Emma Stone and Ryan Gosling (teaming up on screen for the third time) and after seeing the raves it has already received from the film festival circuit, I am more than ready. 2. 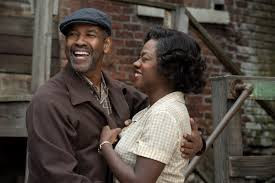 Stepping behind the camera as Director for the third time, Denzel Washington brings us "Fences," the film adaptation of the classic August Wilson play, in which he also stars alongside Viola Davis. 'Nuff said! And with that, these four films are more than enough to keep me busy for this last month of the year and even so, I would not be surprised if some of these features await wide release in January 2017. But, as always, please do send me your best and I will deliver mine in return. And I'll see you when the house lights go down!!! !